Those that are familiar with my work know that I take issue with the claim put forth that the so-called “Morgellons” condition is a highly restricted situation that affects only a few individuals that happen to manifest a certain set of skin conditions. To the contrary, the work shows that the general population appears be to subject to the condition and that the criteria used to establish its existence should be focused on biological change and manifestations WITHIN the body. It is my position that filaments that occur within the body and the alteration of the blood are more suitable criteria upon which to establish the presence or absence of the condition. Thus far, every individual that has participated in this testing reveals this internal change, and it is only the degree of change and alteration within the body that varies. It remains hopeful that exceptions to this generalization will be found in the future as a basis for more study. Given the state of affairs, however, these changes can in no way be considered to be “normal”, just as the engineered physical alterations to our planet (with emphasis upon our atmosphere) can not be accepted as “normal”. This is a truth regardless of the amount of time that we are subjected to these injustices. At what point do you realize that you are involved? At what point do you realize that your children are involved? At what point do you realize that those you know and love are involved? At what point do you realize that life beyond yourself is involved? 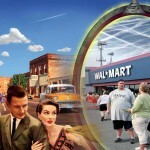 And at what point do you realize that the life and health of the planet itself is involved? Rest assured, I will add to our “clinical body of knowledge”… But if this is all that can be seen, and if this is all that you are looking for at this stage of the game, then you have missed out on the scale of the problem and of your own participation in the problem. A passive acceptance of injustice is no longer excusable if the future course of events is clear with no underlying change in prospect. Let us now go on in the more comfortable vein of providing you with “more evidence” that there is indeed a problem. Over the past couple of years, I would estimate that at least three dozen people have participated in the study of internal biological changes that I have initiated. The studies were an outgrowth of the initial studies that focused upon the skin (external) alterations that are more commonly reported to establish the existence of the condition. It became apparent to me that such external examinations were not sufficient to establish the underlying basis of the condition. Only time and proper effort will identify the true distribution of the condition and the causative factors, but based upon the work herein it is certainly statistically fair at this point to include the entire population as under risk. Furthermore, the work shows that examination of the human form alone is myopic enough in its own right. I do not always have the means, time or resources to continue repeating certain tests unless additional cause or information comes to light. Such additional cause of information is the subject of this paper. The opportunity to further investigate the influence of diet and age upon the Morgellons conditions has arisen, and my appreciation is extended to these two individuals that have added to our body of knowledge on this subject. One of the individuals that has participated in this study is that of a 37 year old life-long vegetarian male and the other is that of an 8 year old male child. The results of the work are presented below for your study. When you have finished with your study on this occasion, I am asking you to return to the series of questions that have been asked of you above. This time, for us to continue with this dialog, I must ask YOU for YOUR answers. A case of the dental sample for the 37 year old vegetarian male. The process of sampling is as follows: The mouth of the subject is cleaned thoroughly so that no evidence of any solid material within the mouth is visible whatsoever. The individual then takes approximately 20 ml. (i.e., a swig) of red wine and vigorously swishes the wine in the mouth, gums and teeth for approximately three minutes. The contents of the solution after this time period are expelled into a petri dish and the majority of the wine siphoned off. The procedure is then repeated two more times, for a total exposure of approximately 9-10 minutes. The individual shows no anomalies at the skin level. 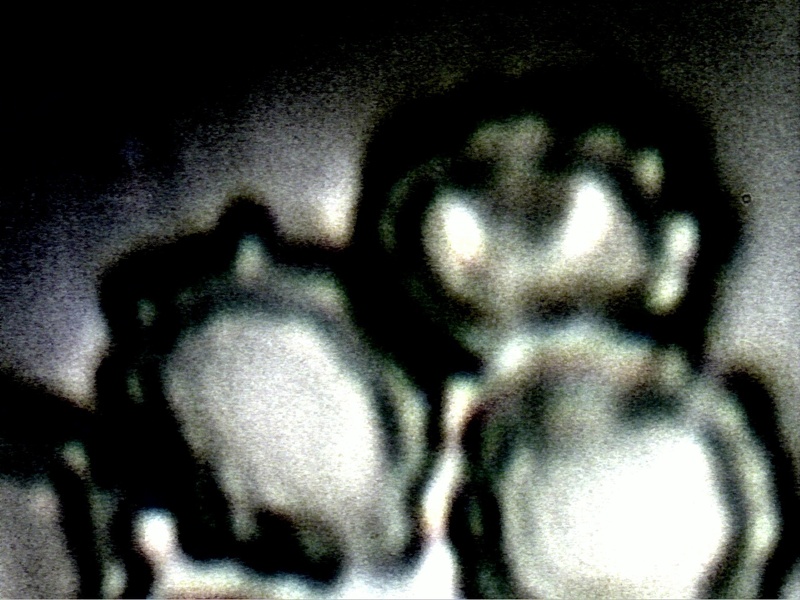 The material shown here is of a filament nature (it is not a precipitate; this will be discussed further below) and it has been reported on and described in detail extensively on this site. The correspondence of this material from inside the body has been made with filament samples acquired from the skin (i.e, exterior of the body). 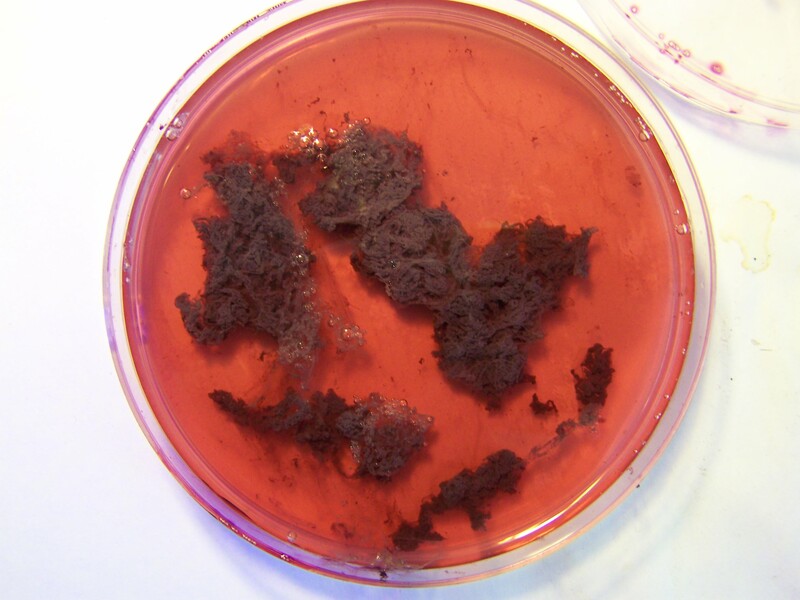 The correspondence of this sample material with that of certain environmental samples has also been made. See prior reports. 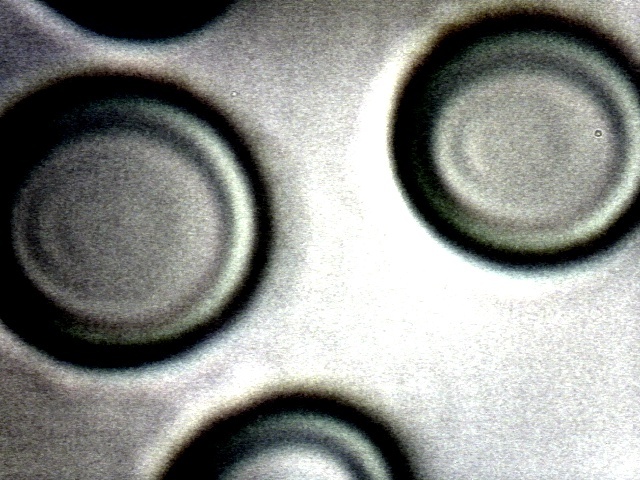 The red blood cells of the same 37 year old vegetarian male examined under the microscope at high power (approx. 10,000x). This individual states himself to be in apparent good health prior to the observations provided here. The correspondence of the structures that are degrading the cell membranes of the red blood cells (bacterial-like) and those that have been continually found within the filament samples (environmental, skin and dental) has been repeatedly made. Please also refer to the paper entitled “A Mechanism of Blood Damage” dated Dec. 14, 2009 for further information on this subject. The damage to the integrity of the cell membranes is apparent, and is identical to that first observed as characteristic of individuals manifesting skin anomalies reported in association with the so-called “Morgellons” condition. 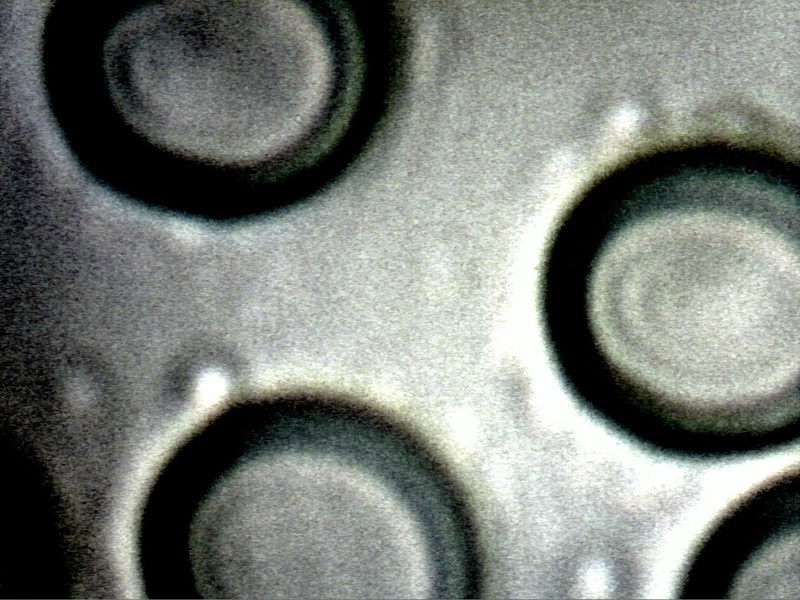 The condition of the cells shown in this image is typical and representative of the entire sample observed. 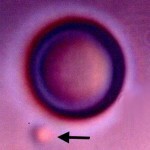 An additional example of the condition of the red blood cells of the 37 year old vegetarian male. This individual eats dairy products but no meat. This individual has the distinct background of having been a vegetarian from a very early age (i.e., approximately since he was 4 years old). 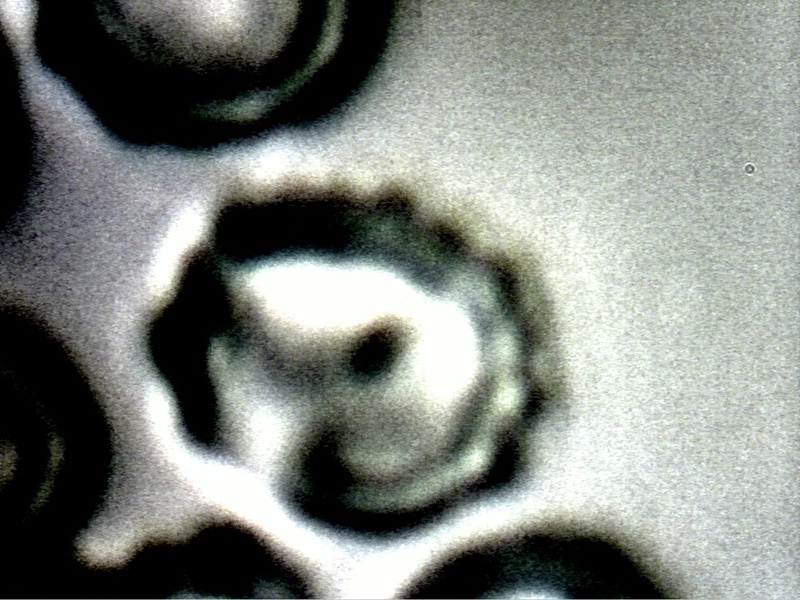 An additional example of the condition of the red blood cells of the 37 year old vegetarian male. The significant disruption to the cellular structures as has been reported on extensively on this site is apparent. Individuals sampled thus far vary widely in age, location and are of both sexes. The case of the dental sample for the 8 year old child. The procedure followed is identical to that described for the 37 year old male above. Filament samples are once again visible. The material is of a filament nature; it is NOT a precipitate (see additional note below). This is the second occasion on which a child has participated in the studies with the permission of the parents. In both cases the results are affirmative and identical with respect to the presence of the filaments INTERNAL to the body. The individual displays no skin anomalies. For previous work that is relevant to this presentation, please refer to the paper entitled “And Now Our Children“, dated Jan 11, 2008. The condition of the red blood cells of the 8 year old child in coincidence with the dental samples provided in this test. No additional comments will be made. Please refer to the voluminous work on this subject prior to this paper. I also refer you to the series of questions that are the basis of this paper. 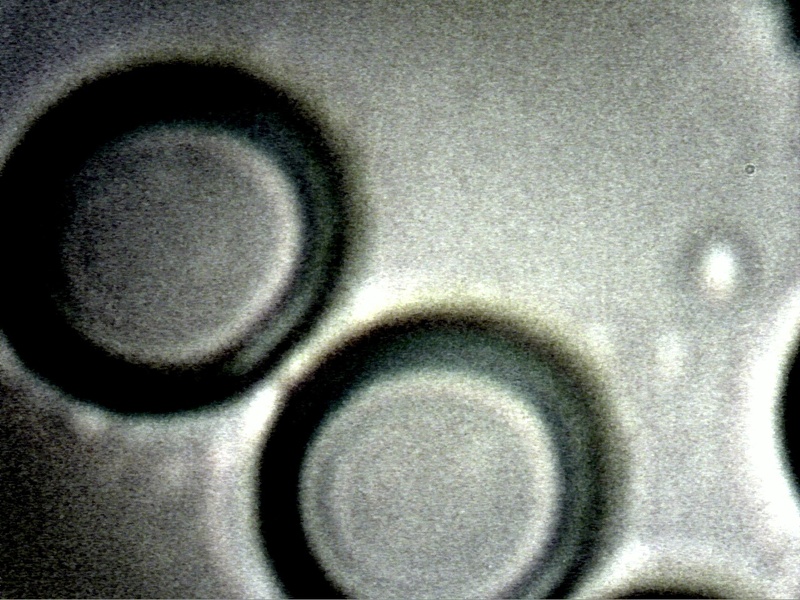 An additional example of the condition of the red blood cells of the 8 year old child in coincidence with the dental samples provided in this test. This series of photographs is NOT presented as a cure or solution to anything. They do, however, present the potential merits of dedicated research that are in opposition to any acquiescence to the current state of affairs. 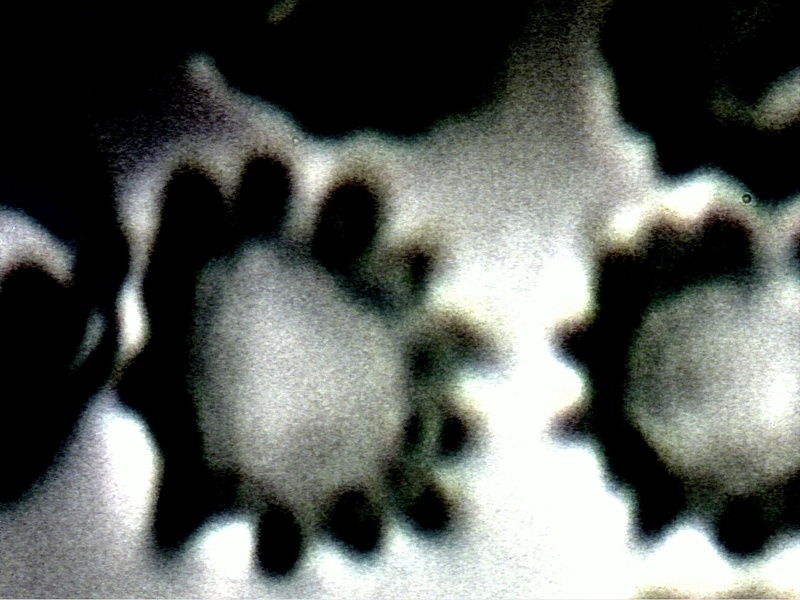 These photographs represents the condition of the blood of an individual that has pursued certain strategies that have been recently proposed and outlined through this site. The strategies are centered on the benefits and disadvantages of alkaline vs. acidic diets and on the role of anti-oxidants with respect to health. The strategies are the result of certain filament culture trials that have described at some length on this site. No medical advice or diagnosis is implied or stated herein; each individual is responsible for consultation with the health professional of their choice for any choice of action pursued. The information provided on this site is for informational purposes only. Please refer to the notice at the beginning of this paper and as pronounced ubiquitously on this site. 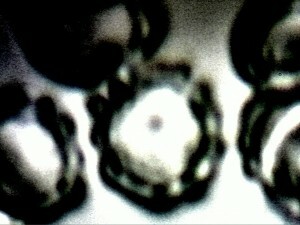 The photographs of the red blood cells shown here are representative only on the date of this work, approximately May of 2010. Indeed, one of the conclusions that has been reached through observations is that the condition of the blood can change fairly rapidly, e.g. over a 3 week interval. The life cycle of a red blood cell is approximately 3 months, however, significant changes in the general condition of the blood (both improvement and degradation) have repeatedly occurred within the fairly brief interval of 3 weeks. Monitoring of the blood on a continuous basis is therefore another strategy that may be evaluated as to its merit in the assessment of the “Morgellons” condition. What is generally shown here is a return of the cells to a more uniform geometry and integrity that does follow a period of increased alkalinity and antioxidants within the diet of the individual. 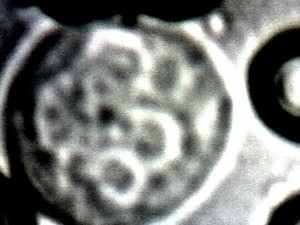 It is also true to state that the condition of the cells of this individual, several months past, were quite similar to the degraded examples shown above. Sharp and fairly rapid periods of degradation have also been observed, and therefore these photographs present only potential benefits from the current research and not absolute benefits. Each individual must consult with their own health professional to evaluate any strategies for improved health. This photograph shows what appears to be a white blood cell in the process of engulfing the bacterial-like structures that have been under extensive study. This type of observation has in general been quite rare. The observation suggests the enhancement of the immune system may have some effectiveness in diminishing the numbers of the growth form. Magnification approx. 10,000x. This photographs is representative of why emphatically no solution or “cure” to this biological condition is claimed or implied herein. 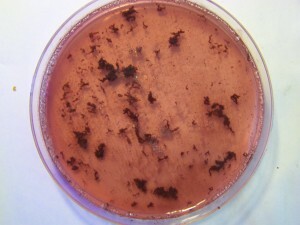 It has been observed that the blood serum appears to be a primary carrier of the bacterial-like structures (see A Mechanism of Blood Damage). Therefore, cases have been observed where the blood cell geometry has returned to a more normal form but the distributions of the bacterial-like forms remain extensive in the surrounding serum. Each individual is to consult with their own medical professional for any interpretation and advice of any results shown here or on this site. This is a representative example of the filament culture in mid-stage growth. 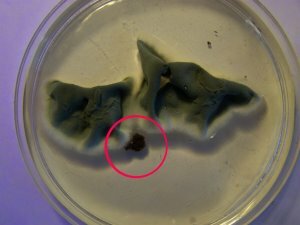 This filament growth has resulted from a dental sample “seed”, as outlined in red within the photograph. The culture medium is white wine. Various mediums have been found to be productive, but the simplest and most useful thus far is that of both red and white wines. There are four primary stages of growth that have described in the reports. The first is the chlamydia-like (bacterial like) growth stage. 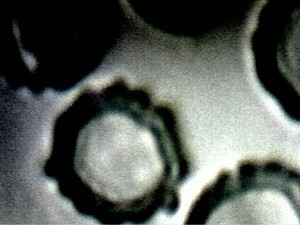 The second (additional, not replacement) is the pleomorphic growth for which mycoplasma-like forms remain a candidate. The third stage (additional, not replacement) is the filament growth (as shown here) . The fourth stage (additional, not replacement) is the development of erthyrocytic forms within the filament growth. Within the filament stage of growth, there are 3 stages of sub-growth that occur. The first stage of filament growth is pure white in color. This stage can be seen on the boundaries and edges of the primary growth shown above. This stage is short-lived, commonly on the order of 1-3 days. The second stage is a transformation to a greenish color, and this dominates the mid-stage of growth as shown above. This stage can commonly last on the order of two to three weeks. The final stage is a transformation to a deep black color (not shown). The complete process can take commonly on the order of two to three months to complete. When the black stage of growth is complete (mature stage) the consistency of the growth begins to approximate a tar-like nature. The growth solution (originally wine) becomes darker and more viscous in nature. 1. What is observed and reported upon, for many years now, is a FILAMENT structure. It is NOT a precipitate. 2. The reaction between saliva and red wines does indeed occur, and it has been studied extensively under the microscope. The precipitate is in no way identical or similar to the filament material that is the subject of the reports. 3. 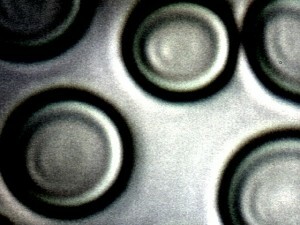 The sheer volume of filament materials produced, as in the first example shown above, is enough to eliminate any realistic portrayal as a precipitate formation. 4. The precipitate test can be easily reproduced and examined outside of the body, as it is not dependent upon material that emanates from the gums of the individual, as the specimens of these reports do. The wine-saliva-precipitate reaction is dependent only upon the interactions between wine and saliva, and is relatively trivial compared to the materials that are shown here. The material that is the subject of this report emanates from the gums of the individual.